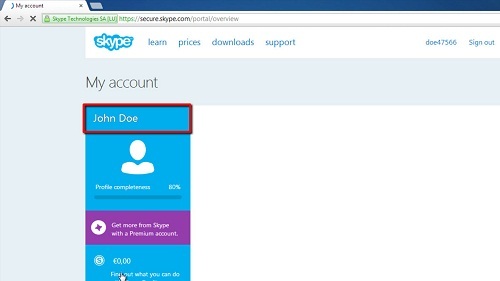 In this tutorial you are going to learn how to change Skype email address. Sign in to your Skype account at www.skype.com. Click on the “Profile” link under the “Account Details” header found halfway down the middle of the page. On the next page, scroll down to the panel labeled: “Contact details”. Your email address will be the first detail listed. You cannot edit your “Primary email”. 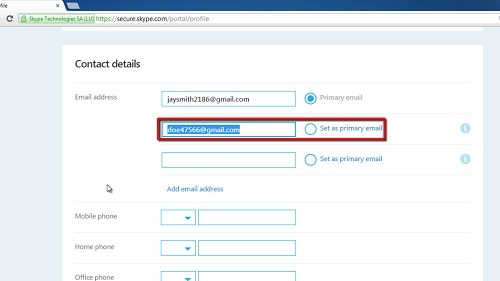 Instead you must enter a second email address, make that your “Primary email” and then delete the original email address. Click on the “Add email address” link just below your email address. Enter the new email address in the field that appears, scroll to the bottom of the page and click “Save”. Now you will have two email addresses listed. Click the “Add email address” link again. In the editing page that appears, select the radio button just to the right of the new email address that says “Set as primary email”, scroll to the bottom of the page and click the “Save” button. A message window pops up, titled “Enter Password”. Enter your password and click on the “Enter” button to confirm that you want to change your primary email address. You will be directed back to your profile page, click on the “Add email address” button one more time. Now you can delete your original email address because it’s no longer the primary address. Finally scroll to the bottom of the page and click on the “Save” button to complete the change. 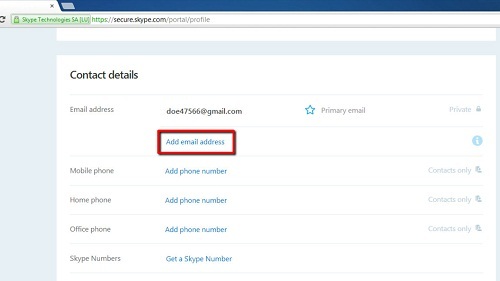 This is how to change your Skype email address.